With Trudeau spending like a proverbial drunken sailor, that added $100 billion in debt will take us to THREE QUARTERS OF A TRILLION ($765 billion) in debt within the next five years! And it seems Wudrick isn’t the only one not pleased by todays budget announcement … including Aaron Gunn, formerly of the Canadian Taxpayers Federation (CTF) where he founded and became Executive Director of the Generation Screwed initiative. I wasn’t surprised that he too hit on new debts that Justin Trudeaus federal Liberal government will continue to generate. This afternoon he commented, “Remember when Trudeau said he’d balance the budget by 2019 and not run deficits of more than $10 billion? How is this colossal failure of leadership not receiving more coverage by the media?”, before continuing. In a January story, the National Post noted that Andrew Scheer’s Conservative MPs were continuing to batter away at Trudeau for running large deficits … including this year’s deficit which then was expected to be over $18 billion … with DEBT increasing by nearly $100 billion. Deficits and annual debt however are the much smaller numbers. With Trudeau spending like a proverbial drunken sailor, that added $100 billion in debt will take Canadians to THREE QUARTERS OF A TRILLION ($765 billion) in debt within the next five years! 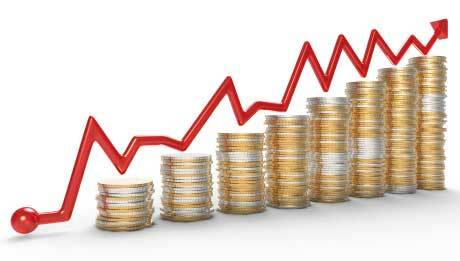 Today’s federal budget fell short of addressing the fundamental issues affecting BC business. And, while there were some small wins in the budget, it failed to address key issues like global tax competitiveness, reduced business confidence, and a slumping investment in BC businesses. Val Litwin, CEO of the BC Chamber of Commerce pointed out that; “Current tax rates are hurting our ability to compete globally. This budget didn’t adequately address productivity or competitiveness in a way that will grow our economy, create meaningful employment, and generate the revenues we need to sustain a healthy prosperous province and country”. Also, of concern to the BC Chamber of Commerce is the lack of a clear strategy to move the Trans Mountain pipeline forward, given the significant investment made by Canadian taxpayers. And it’s true! A lack of ability to have projects such as the Trans Mountain Pipeline moving forward should be of grave concern to all taxpayers. Only long stalled resource development projects such as the Trans Mountain Pipeline will be able to stop increased debt, and begin to turn it around – something Justin Trudeaus and his band of carbon taxing eco-bandits have failed to understand. Justin Trudeau came in like a rock star in the election of 2015 — promising one and all sunny days were here, and that Canada was back. Oh, and that he’d get the budget balanced. Sunny days are here … but only for those in foreign countries getting lavished with incredibly insane amounts of government largesse. And going back to sunny days – there are certainly not many of those as the confusion and chaos surround SNC-Lavalin continues with the Liberal majority shutting down Jody Wilson-Raybould from speaking. manufacturing sales declined for the third consecutive month, down 1.3% to $56.4 billion in December on lower sales of petroleum and coal products. Excluding this industry, manufacturing sales declined 0.3%. Sales fell in 12 of 21 industries, representing 72.7% of manufacturing sales. Manufacturing sales in volume terms were also down, declining 1.2% in December. in the petroleum and coal product industry, sales declined for a second consecutive month, falling 10.4% to $5.2 billion, with a decrease in volumes (-5.2%) accounting for about half the decline. and food manufacturing sales declined 2.3% to $8.6 billion in December, following two consecutive monthly increases. The decrease in December mainly reflected lower sales in the meat manufacturing, dairy manufacturing, and grain and oilseed manufacturing industries. It must be said however that finally in January things were slowly beginning to turn around — but again only after MONTHS of declines. Something Finance Minister Bill Morneau tried to make look a lot better than what statistics had been showing. A stronger country however still comes down to ensuring government does not spend more than it can possibly take in from taxes and fees. And not paying attention to that is a very real reason why … the anxieties felt by Canadians are real. “Even with increased spending, higher than expected revenues could have meant a smaller deficit or even a balanced budget, but instead the government has chosen to simply spend every unexpected dollar – and then some” said Wudrick. In January, again quoting Morneau he stated that, “Since 2015, the Government’s plan has delivered real results for Canadians and their families”. The only real results the Trudeau government has delivered since 2015, have been less take-home pay, tens of thousands of job losses, and resource development that’s been shelved or worse, cancelled completely. Property owners have the right to log their property. They have the right to raze entire ecosystems. In spite of decades of evidence showing the devastating effects of clear-cut logging, unfortunately it’s still legal for people to strip their property to the skin. Most of the Saanich Peninsula is already bare. But there are still some beautiful forests on the Southern Gulf Islands. I first understood the vulnerability of these important forest lands few months ago, when a private property owner began clear cutting on Saltspring Island. After some digging, I found out that currently there seems to be very little that can be done about it. It’s a frustrating response to give to people concerned about the loss of habitat. 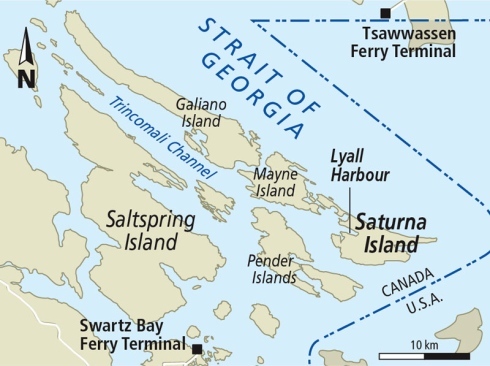 Then I began receiving calls from Tsawout First Nation members notifying me that their First Nation was clear cutting reserve lands on Saturna Island. I cannot support either of these logging operations. This situation deeply saddens me. It is frustrating that there is so little protection for these lands. I understand private property rights. And, I am well aware of the economic burden First Nations face and the scarce resources they have to deal with their challenges. It has been, and will continue to be, a focus of my work with the provincial government and First Nations leaders to address the systemic, legislated poverty and inequity. It’s one of the driving forces that inspired me to run for provincial office. I am also committed to putting an end to poor resource management practices, no matter who is responsible. In the end, it comes down to decision making. There are so few of these critical ecosystems still intact. We are going to have to make different decisions than we have made in the past. That includes the province, First Nations and private property owners. Finally, it is time to put in place ways to protect these places. The air we breathe and the water we drink, depend on it. Joyce Murray’s real backers are American environmentalist groups. Conventional wisdom has Justin Trudeau winning the federal Liberal leadership race by a landslide. But Joyce Murray has told The Toronto Star that she is in the lead with even more registered supporters than Trudeau. The peculiar thing about Murray’s position on pipelines and tankers is that she only opposes ones that would enable Canadian oil to fetch global market prices. She entirely misses or ignores the dozens of pipelines and tankers that import oil to the eastern coast on a daily basis. This is another facet of government dalliance with pressure groups. 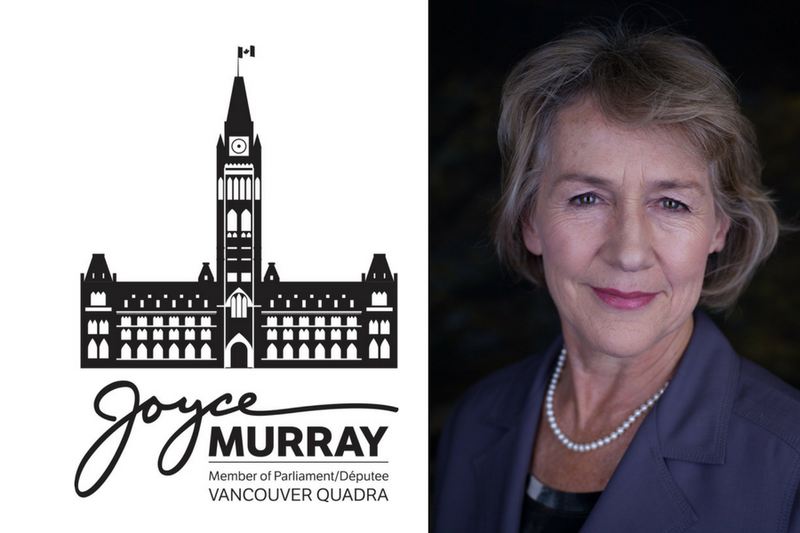 (Liberal MP) Joyce Murray effectively sold off her sworn obligation to serve all of the people of her constituency and the people of Canada to a third-party political organization that brought her memberships and votes. In return, she is comfortable shilling for foreign vested interests, stabbing us in the back while doing so. She is the poster child of a bought and paid for politician now a key Minister in the government (President of the Treasury Board and Minister of Digital Government). That is why so many people are cynical about politics and politicians. They are fed up with people who aspire to power but shun the responsibilities of elected office. Our government can easily enact legislation prohibiting non-profits like the Dogwood Initiative from receiving funding from foreign sources — but will not do so. That could mean that Murray and some others might not win in October. The Liberal 2015 campaign promise was to deliver three years of “modest” $10 billion-dollar deficits with a return to a balanced budget in 2019. This week the Liberals presented the 2019 budget that clearly reveals Justin Trudeau not only broke his “very cast in stone” promise to return to a balanced budget but also that he made no effort to do so. The 2019/20 deficit forecast is set at close to $19.8 billion; this is on top of the $60 billion in deficits added in the first three Liberal budgets. The current budget indicates there is no path to balance until at least the year 2040, by that point racking up an additional $271 Billion in new debt. So where is all of the money going? … A new job retraining program for eligible workers aged between 25-64 that will provide up to $250 per year to a career maximum of $5000. … An increase to the maximum a first-time home owner can borrow from their RRSP from 25,000 that will now be increased to a limit of $35,000. … A new shared equity home ownership plan where CHMC will provide a shared matching contribution between 5-10% towards the down payment on a new or existing home. Citizens with a household income under $120,000 can qualify on homes up to a maximum value of $400,000. … Those who can afford to purchase a new electrical vehicle may now be eligible for up to a $5,000 federal credit on the purchase. There is also a commitment to spend $35 million over 4 years to create a new federal Canadian drug agency, assumedly in Ottawa, that can work towards bulk buying drugs on a national scale. Additionally, aboriginal communities will also receive $1.4 billion over 7 years to forgive outstanding legal fees resulting from treaty and land negotiations. Indigenous groups that have already paid these fees can be eligible to have them repaid under this program. Interest rates on Canada Student Loans will be lowered to prime and will be interest-free for 6 months after graduation, $553 million has been budgeted over the next 3 years to attempt to fix the failed Phoenix pay system, and there will also be changes to the GIS income earning threshold so that a working senior may claim more income without affecting the GIS support levels. Many critics have largely labelled it a “political goodies budget” specially targeting certain voting demographics that the Liberals hope will translate to votes in the October election. I will reserve my own thoughts in an upcoming MP report. Premier John Horgan has called a byelection for the Nanaimo electoral district, following stepping down of NDP MLA Leonard Krogg – Krogg was elected as Mayor of Nanaimo on October 20th. Current NDP MP Sheila Malcolmson will be running for the provincial NDP, BC Liberal leader Andrew Wilkinson anointed … ooops I mean appointed … Tony Harris, Michelle Ney (daughter of the late Frank Ney, who served as the Mayor of Nanaimo for 21 years) was selected in a contested nomination race for the Green Party. The BC Conservative Party announced on December 21st that they will be contesting the Nanaimo by-election, and will be announcing a candidate shortly. With the NDP currently holding the reins of government with 41 seats, and propped up by the 3 MLA’s of Andrew Weavers Green Party, he has a combined total of 44 MLA’s to the BC Liberals 42. That means a lot is on the line for John Horgan’s NDP government. If Sheila Malcolmson should fail to win the January 30th Nanaimo byelection – and Tony Harris win, that will leave his combined total of 43 combine NDP / Green seats equal to the BC Liberals. His government could only service IF House speaker Darryl Plecas cast tie-breaking votes in favour of Horgan on all legislative votes that ended in a tie. Furthermore, if the Green Party ended up in a situation where they could NOT support NDP legislation, it could then also lead to the government’s defeat, forcing an early election. But, here’s another thought. A short time ago, former Liberal MLA John Less said to me, would be awesome to flip that seat! And of course, his meaning of that was to the Liberals. My question to him however was; “If the BC Conservative Party was to win the Nanaimo by-election, then they would be better able to keep the Liberals accountable”. That is still the question I put out there for all to consider – especially to the thousands of small ‘c’ conservatives who have basically not had a home to be part of, and were only supporting the BC Liberals because of that. … a Canadian citizen, and, a resident of B.C. since July 29, 2018. Residents not already on the voters list can register to vote in the by-election here until midnight January 2, 2019. After that, eligible voters can only register in person at locations where voting will take place. I’m Alan Forseth in Kamloops. If you have any thoughts on this commentary, please share them below in the Comments Section. “If the BC Conservative Party was to win the Nanaimo by-election, then they would be better able to keep the Liberals accountable”. That is still the question I put out there – especially to the thousands of small ‘c’ conservatives who have basically not had a home to be part of, and were only supporting the BC Liberals because of that. You can Google articles with examples of Canada’s environmental standards in this industry, versus any other country. But instead, do yourself a favor and ask someone who’s worked in Canada’s oilpatch, and around the world. Every one of them has countless stories of horrendous environmental issues abroad, which haven’t been allowed in Canada in 30+years (or ever). But what if we didn’t protest Energy East, and instead told the Premier of Quebec that he cannot block a national pipeline. Eastern Canadians would’ve paid (at a minimum) $10-$15 less per barrel than they are currently paying for Canadian oil versus foreign oil. But there were also the billions (not millions, but billions) in revenue that each province would receive from this pipeline running oil through their province. And I know we’re focusing on the environment, and not the financial benefits of Canada’s oil and gas industry. But, the trick with clean energy and technology, is that it takes money to develop and get to market. So, I could be wrong, but I’m almost certain that not one oil company would’ve been upset if Quebec hadn’t killed this pipeline, but instead, took their multi billions a year in revenue from it, and invested all of it into new clean energy technology. So, Energy East would’ve taken the amount of Canadian oil, which they are already buying from foreign countries, while generating a ton of money for Canada/Canadians. And then that money could’ve been invested into renewable green energy development. But Climate Change is a world-wide problem, not just a Canadian one. So, as crazy as this might sound, I do believe that BC building facilities to ship Canadian liquid natural gas (LNG) to the world, could have an incredibly positive carbon emissions net benefit. Who is not underfunded, are the groups who make an extraordinary amount of money from Canada not being able to get its natural resources to other customers (the US is our biggest customer at 99%, which is a percentage no business can survive with). And you can’t blame these people for making money off Canada’s inability to build pipelines. But how they’ve done it, by spending hundreds of millions on PR campaigns to smear Canada’s industry, and pitting us against each other, is beyond is infuriating.